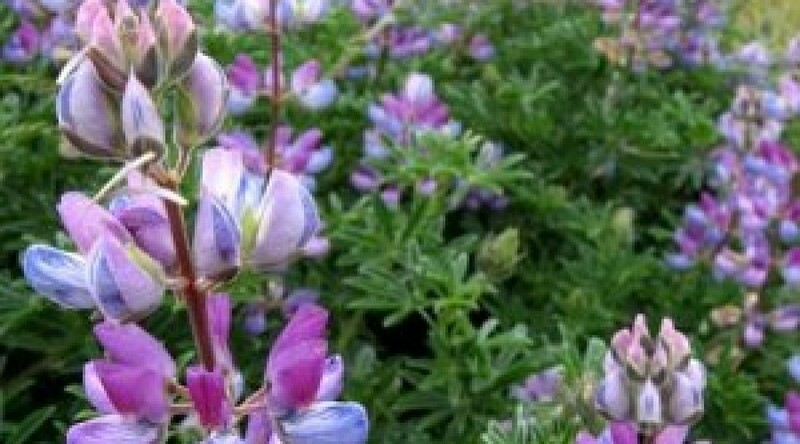 Tree Lupin. A bushy evergreen shrub with grey-green foliage spikes of Blue flowers. Height 2m. Spread 2m. Flower colour Yellow. Flowers from May to August.